With the creative team behind The Kazimier having launched a Kickstarter campaign to raise funds for a new immersive show, Getintothis’ Chris Burgess brings you the details. The directors behind The Kazimier have been incredibly active since the venue’s closure was announced, launching a Kickstarter campaign for a unique and creative new live show. The Invisible Wind Factory, billing themselves as a creative productions company, is producing a show where “music, dance, performance, and elevating structures portray an abstract tale – a powerful immersive spectacle, designed to envelop large audiences”. 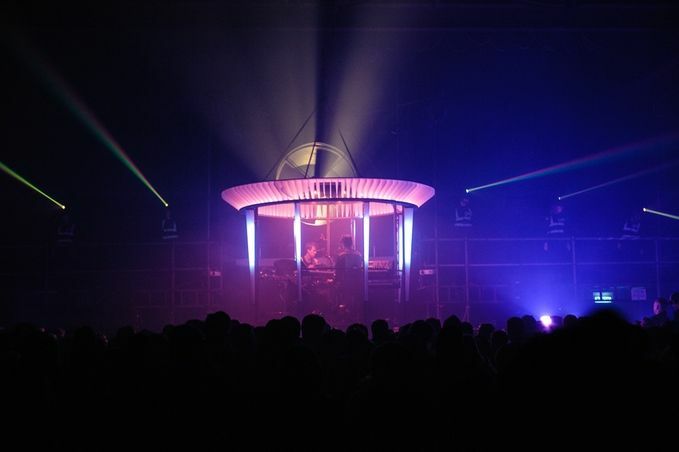 The show also promises to deliver “a live experience taking audiences on a journey through meteorological and atmospheric conditions with sound, light, and performance”. The Kickstarter campaign‘s purpose is to raise £8,000 towards a wider fundraising efforts for the new Invisible Wind Factory project. The team have secured an Arts Council grant and the rest of the money will come from the IWF organisation directly. The show will be debuted and presented on two back-to-back nights on November 6/7 as part of Human Futures Festival in partnership with FACT. It will then ‘tour’ in 2016. The initial performance takes place at their Invisible Wind Factory venue/project space tucked away in Liverpool’s north docks. These will act as showcases, a grand unveiling of their work to their home audience – as well as an opportunity to market the show for its future. They will then take it on tour in 2016, presenting it at UK and European music and performance art festivals, and other venues around the country and beyond. While the team don’t want to give too much away about the show itself at the moment, there is some suggestions of what it will look like in the form of videos and illustrations on the Kickstarter site itself. The team state that although in some ways it will be a development of last December’s incredible venue launch show, it will be a completely new concept and experience. The campaign has raised more than half of their target amount, and with just six days to run on the Kickstarter page the chance still remains to show your support. The team are offered some frankly amazing rewards – from priority tickets to the live show to the chance to actually participate in the performance itself. For all of the wonderful and fantastic live shows the team have supplied the city over the past decade, slinging them a fiver seems the least we can do to show our thanks.